So today I received a very exciting bit of pin mail (the beautiful Aristocats WDI character cluster) and while I was putting it on my pin board, I realised that I am now accidentally a Frou-Frou completist! Frou-Frou for those who don’t remember (which I don’t blame you) is the horse from the movie and there are currently only two pins of her in existence, of which I own both. I found this funny for some reason and it got me thinking - what obscure/niche or accidental pin collections do you guys have? Do you collect a really obscure movie or character, an unconventional and specific “category” or have you accidentally become a completist for a random minor character like I have? I’d love to know! DitzyDreamer, TinyTink, Nasubionna and 2 others like this. DitzyDreamer, TinyTink, PixiePost and 2 others like this. These all sound like such awesome and unique collections! 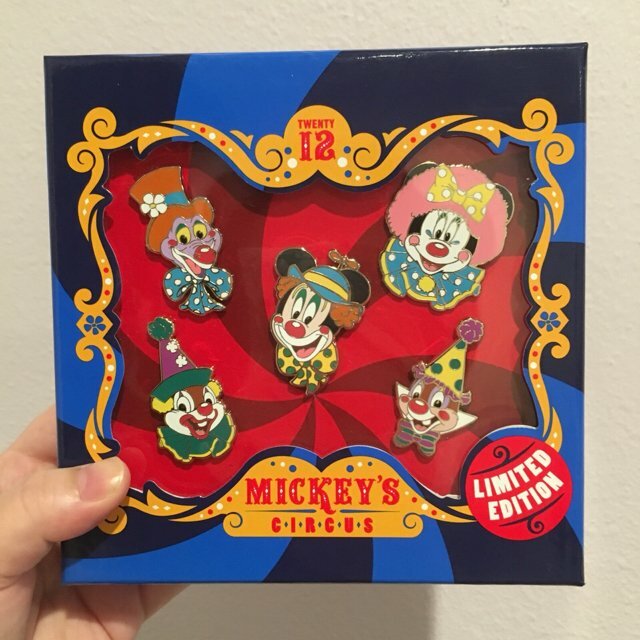 A Sour Bill collection would be AMAZING, I didn't even know there were pins out there of him! ladyroselie and TinyTink like this. GreyWyvern collects Sour Bill and some funky purple dragon thing. 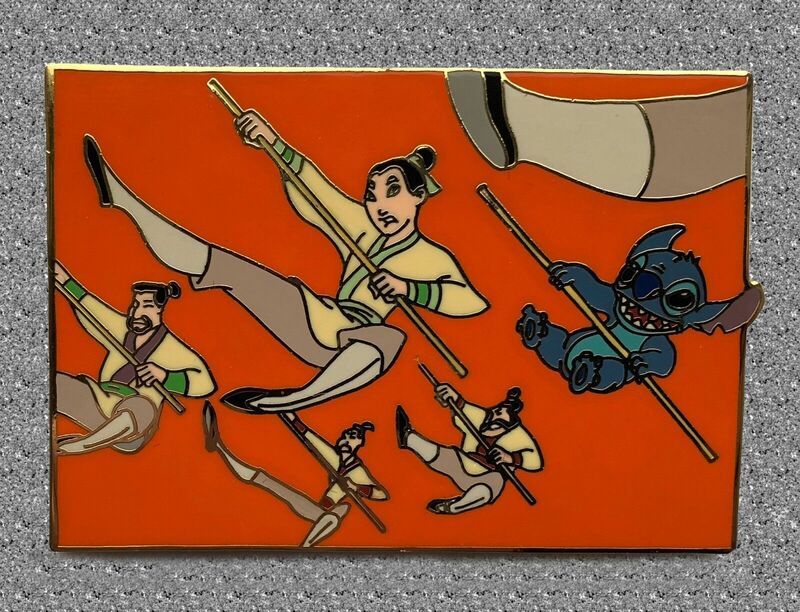 I'm working on getting all the pins with Ling, Yao, and Chien Po (the three soldiers from Mulan). I have most of them, but to really be a completist, I'd probably need a PODM with them and the Stitch invades pin since I'm pretty sure Ling and Yao are in the background (and possibly Chien Po's leg). TinyTink, Nasubionna, PixiePost and 2 others like this. There are Flight of the Navigator pins out there? The original is Disney?! MIND. BLOWN. TinyTink and Spr175psu like this. I'm actually shocked someone else has heard of it! It was one of the first movies I ever saw in theaters and one of my favorite movies growing up. But yes, there is a pin! It's PP # 88036. I think not like Disney-Disney, just like distributed by Disney? But it's still way better than the sequel and the animation is better. Wow, I haven't thought about that movie in ages. I wonder how it holds up. Oh cool, I might have to hunt for it. I grew up on that movie too! I have several obscure collections. I'm a completist of That's So Raven, which has one official pin. I'm a completist for Fix-It Felix and Sergeant Calhoun from Wreck-It Ralph (looking forward to the pins that will come out for WiR2!) And I have not completist yet collections of a few side characters - Jake from Rescuers Down Under and Rita from Oliver and Company. I also collect playing card aces and am just one pin away from completist, though it's a very expensive and very hard to find pin from a framed set, so I consider myself to be as completist as I am willing to be for a lower priority side collection. But my favorite obscure collection is that I am a completist for waffles! LadyBarclay, DitzyDreamer, Ajk and 4 others like this. The waffle pins are great! I'm obsessed with your waffle board! So cute and such a fun collection idea too! DitzyDreamer, CCofRR13, TinyTink and 1 other person like this. timeerkat, TinyTink, arielsdinglehopper and 2 others like this. 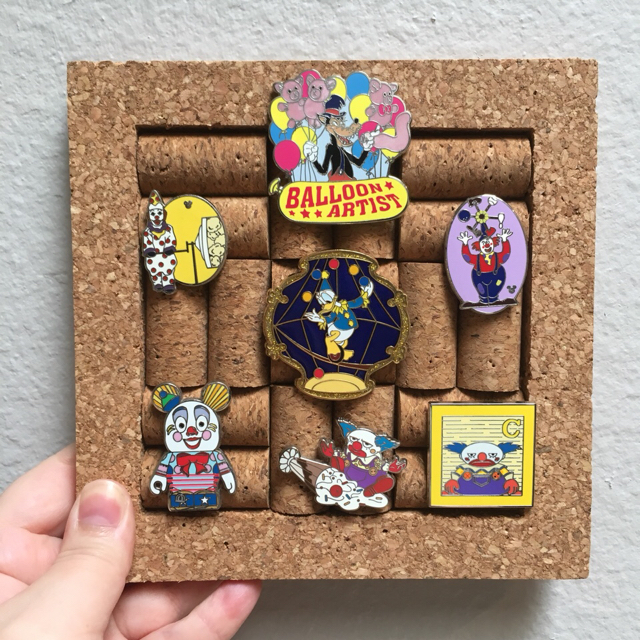 My weird collections are pins of characters reading books and pins of clowns and characters dressed like clowns. They’re both very small collections because I’m picky about the pins I get for them. 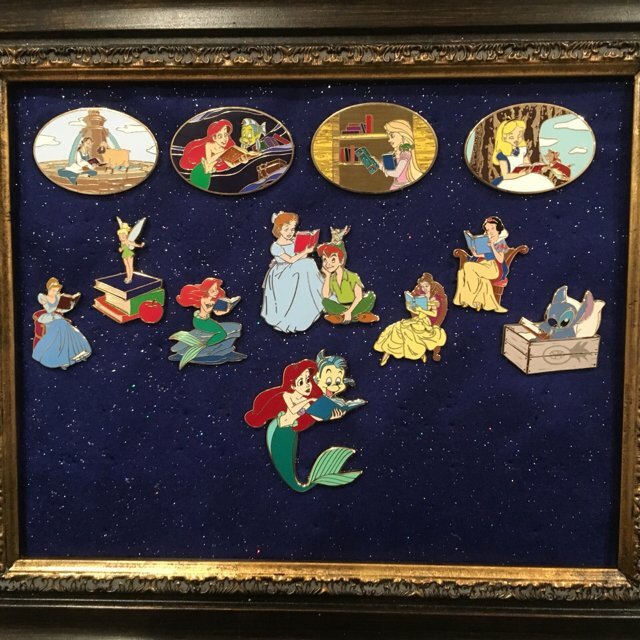 I’m actually thinking about getting rid of the pins shaped like books and only focusing on characters reading. 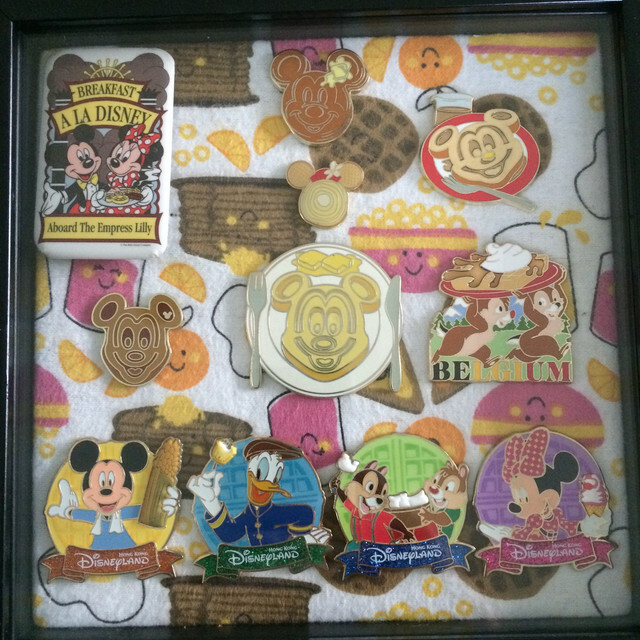 Note: I also have the OE pin of Belle reading in her yellow dress (a zap from Rocke01!) 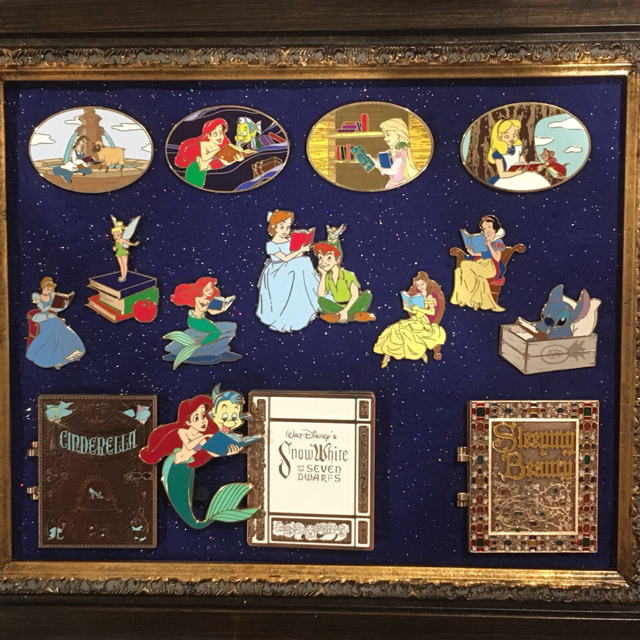 - but that is currently with my Beauty and the Beast collection. Ajk, CCofRR13, TinyTink and 1 other person like this. Anyway, I'm glad you collect this movie! Nasubionna and TinyTink like this. DitzyDreamer, timeerkat, TinyTink and 2 others like this. I am a completist for the Disney Short characters Johnny Fedora and Alice Bluebonnet. There are only 2 pins and it took me over 10 years to get them both. timeerkat, TinyTink, PixiePost and 2 others like this.